In modern life the demand is often driven by advertising aids and visual publicity. The profitability of individual companies is directly linked to effective visual aids and graphic presentations of offered products and services. Important companies have scale advantages in busing quality materials like paper and ink, serving large customers with regional or national needs, and making efficient use of printing products, operations and technologies. Commercial printing companies involved in promotion of business are usually specialized in producing magazines, phone books, catalogs, newspaper inserts, t-shirts, labels, advertising brochures, business cards and other promotional materials. Besides paper, companies may print on apparel and textile products, glass, metal, and plastics. Other services can include packaging, database management, web design, training, and consulting. The quality and originality of visual aids and their quality printing is a must in modern business development and promotion. Visual aids have the role to assist any type of business reach their objectives by providing emphasis to whatever is being sold or promoted. Well designed pictures and presentations multiply the audience's level of understanding of the material presented, and they should be used to reinforce the offered message, make the products and services attractive in order create excitement among potential buyers of customers. The use of visual aids, then, are mutually beneficial to the audience and as well as for company. From psychological point of view studied have shown that an originally designed business card, logo or company presentation on a high quality paper or other material have an important role in customer's choice of selected product or service. With pictures, the concepts or ideas a company presents are no longer simply words - but words with images. An attractive design is the first step that brings client and company closer to each other. 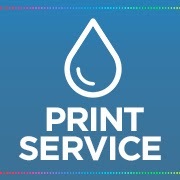 The companies that offer printing services and design solutions online have the tendency to continuously improve and are permanently in search of advanced and original graphic design and artwork. In a society with high competition it is imperative to find the optimal solutions to transfigure the range of products and services into visual publicity, to make a climate of trust and attractiveness to a customer only by offering him a unique business card or a originally designed poster. A beautifully designed and quality printed advertising is half of the way on bringing new customers closer to any business. Sometimes simplicity represents key in conveying information visually, while in other situation the promotion of business require a certain level of complexity and sophistication on designing the aid. A skilled designer should be able to communicate and absorb ideas clearly and easily. However the key element in promoting the business is the understanding of the client and the reflection of the essence of product and service offered to him in an attractive visual manner. The essence of a designing work is develop recognition, sensitivity and social responsibility in the implementation of the design process to real human needs. A professional graphic designer needs visual acuity, a keen sense of color and proportion and highly specialized technical skills, as well as an understanding of prints production methods and the complexity of the Internet. This is why printing companies choose as part of their teams most original, unique designers, with developed artistic and business intuitions and skills suitable for modern products and services promotion and for optimal business-client communication. Website Banner Design - Order Banners NOW!